I am writing the letter of recommendation for Jory Burton. I met Jory in connection with the sale of my uncle’s home. My uncle passed away in early 2016 and left his home to my sister and me. As we both live on the East coast, we agreed that keeping the home in the family was impractical and thus sought a realtor to assist with the sale. Jory came highly recommended by my uncle’s synagogue. After interviewing several realtors, we engaged Jory. The sale of my uncle’s home was an emotional experience (the house was in the family for almost 40 years) and Jory was very sympathetic. Furthermore, not residing in California, Jory was able to educate me on the ways of the California real estate market (very different from New York) and to provide a very accurate estimate of the value of the home and supported his assessment with comparable transactions. Jory helped ready the property for market by obtaining bids for painting and landscaping and by coordinating these services to ensure a smooth transition to the market. Jory’s marketing strategy was unparalleled. He exposed the property to the market by print and digital media and had amazing photography and marketing materials. Jory was straight forward, attentive, effective and realistic. He immediately understood the various issues associated with the sale and his experience was critical in what was a rapid sale and closing. On top of that, his superior negotiation skills got me $200,000 over ask, 4 offers, all cash and a quick close. Jory routinely goes above and beyond. He was always available and made sure that I was always informed of developments both large and small. He updated me after each open house and as offers were received. He also provided valuable insight into the various buyers and how to assess the offers. 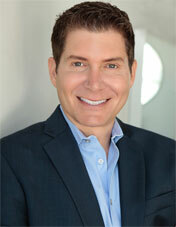 Should I ever need a realtor in the Los Angeles area I would not hesitate to use Jory again.